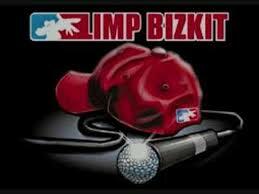 It’s a “Limp Bizkit Prom Burlesque Night” at Bar XIII in Wilmington, DE Hosted by Fenris (May 25) – Hot Breakfast! When you get that email, you don’t say no. Well, we don’t, at least. So what that it’s Memorial Day weekend? It’s prom season, for heaven’s sake! And don’t you want to go to a 1998 prom? YES YOU DO. With Fenris as the emcee of a Limp Bizkit Burlesque Prom Night, you know this night is gonna push a whole Staples-store’s worth of envelopes. While Jill definitely has no plans to participate in the Burlesque portion of the evening (she will be limiting her on-stage activities to singing and playing with Hot Breakfast! to kick off the night, of course), we cannot speak for Matt. I will be totally honest. We played at one of these a few years ago, and it was a blast. I really didn’t know what to expect, but the crowd was so friendly, and the girls were hilarious, and we laughed our faces off without feeling icky. I hate to sound like a jerk and say “We were pleasantly surprised,” but we were pleasantly surprised. So bust out that powder blue tux with the ruffley shirt… it’s prom night, baby! WHO: Fenris (aka Matt Morgan) emcees an intentionally-offensive burlesque night. Hot Breakfast! is the opening band, just doin’ our normal thang, with possibly a few more F-bombs than usual. We play for an hour! WHAT: Limp Bizkit Prom Night Burlesque hosted by Fenris! With opening band Hot Breakfast! FOOD: The Plum Pit Food Truck is almost always parked on-site; their food is amazing, and the guys who run it are awesome. NOT FOR THE EASILY OFFENDED… OBVIOUSLY. See you there? Will we be able to look you in the eye afterwards? WE SHALL SEE. 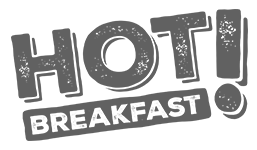 ps: I would just like to add that I never thought I’d ever be adding a Limp Bizkit image to my website. These are the things we do for Fenris.